Whichever location you pick for your Formal Civil Wedding Package or Ceremony Wedding Package in Italy, our experienced wedding planners can help you coordinate and secure the perfect setting for the ceremony and the ideal restaurant for your reception. 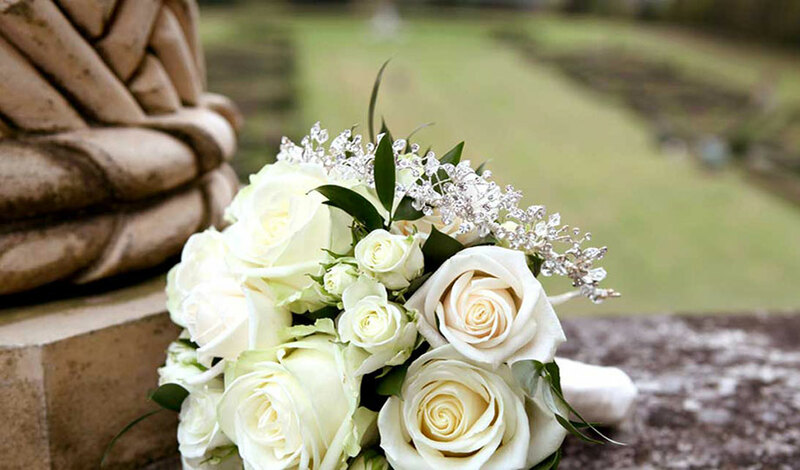 Counting on their great expertise and professionalism, we can also arrange any other service from photography to floral arrangments to all the special touches that will help making your wedding a perfect and memorable day. A paradise of lush gardens cascading into blue waters and luxury villas mingled with the incredible charm of small towns such as Bellagio, Tremezzo and Varenna. There is no better setting for a destination wedding in Italy! Discover one of the most romantic and spectacular wedding locations you could wish for. Enchanted romantic outdoor locations such as the Malcesine Castle and Torri del Benaco are lake-front backdrops for anyone planning a romantic wedding in Italy. Imagine the bride arriving on a gondola to the altar in Palazzo Cavalli, splendid palace overlooking the Grand Canal. Symbolic ceremonies can be celebrated in various locations including private terraces, frescoed halls, on a Gondola. Verona, city of ageless monuments, is the setting for Shakespeare's Romeo and Juliet; romance is everywhere and depending the atmosphere you wish to create you could choose to marry at the House of Juliet, with its famous balcony. Monuments such as the Trevi Fountain, the Spanish Steps or the Pantheon provide a timeless setting for a civil wedding that can be performed in two different locations: a charming villa with frescoes or in the ancient palace of Campidoglio. The romantic Tuscan countryside, the Renaissance grandeur of Florence or Medieval fortress towns such as Siena, Certaldo, San Gimignano, Montalcino and Cortona can be the unforgettable location for your memorable wedding in Italy. Getting married on the Amalfi Coast will allow you to experience the charm and warm hospitality of the south of Italy. Sorrento, Positano and Ravello are the most beautiful places on the Amalfi Coast where to plan a wedding in this seaside paradise. A Symbolic Wedding or Religious Blessing Consists of a blessing or a symbolic ceremony. These ceremonies, are suitable for already legally married couples or for first-times and recommitments. They can be held in religious chapels as well as any of our elegant Renaissance-era villas, medieval castles, stunning Italian gardens, parks or just about any other location you can think of! If you choose to be legally married in Italy, we can organize your civilly binding wedding ceremony in the magnificence of historic Italian venues in a city center, countryside, lake or sea front. Pick a location and remember that the Italian city town halls that we suggest are all centuries-old palazzos, with original frescoes and other historical distinct architectural details. Consists of a professional photography session during your honeymoon. Our coordinator and photographer will make your honeymoon just extraordinary, shooting wonderful photos of you and your destination. We organize this special package in all its steps, from the pre-shooting hair and make-up session to a gorgeous Classic Car or romantic Gondola Ride, visiting famous sights and taking shots, creative portraits and photojournalism pictures.